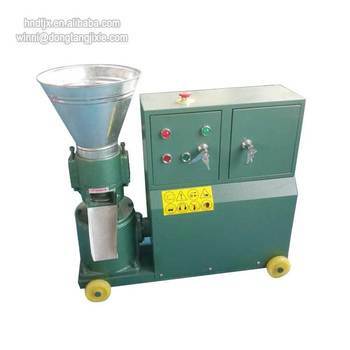 MKL wood pellet making machine is a special equipment designed for mass industrial production of high-quality and high-density burnable pellets. 2. Gear box is made of high quality gray cast iron, with low noise and good shock absorption. 3. The die and roller are made of high quality alloy steel, the hardness reaches 55-60HRC, and the shell is of reinforced with stiffeners. 4. Wide application. It is applicable for pressing materials such as grain, firewood, stalk, tree branches, wood meal, fruit hull, palm and tailing of cotton plant, and widely used in livestock farms, biomass fuel plant, power plant, wood processing plant, fertilizer plant, chemical plant, food plant and cotton plant. 5. The pellet length and size can be adjustable depend on your demands. Small volume, less area taken, easy to operate and can be moved everywhere. 6. Driving power can be customized. Most machines are driven by electricity. Some small capacity ones are fit for electricity, diesel or petrol engine. Power-taken-off type is also available. 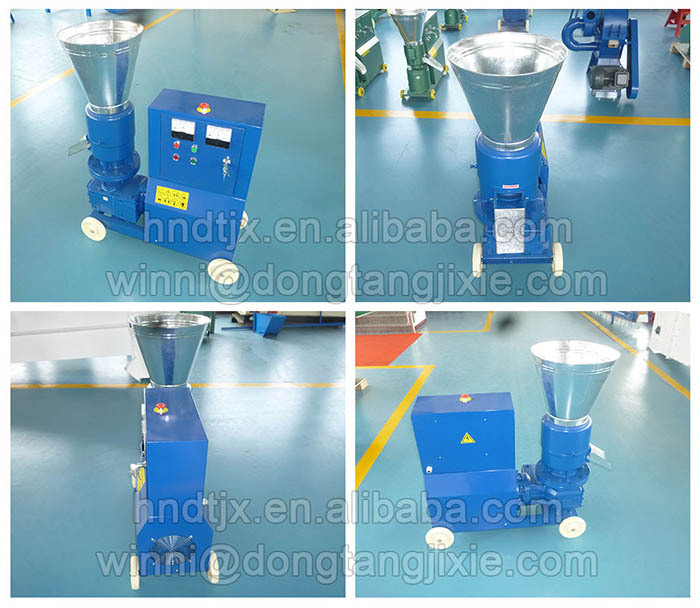 The maximum size of the materials cannot exceed the diameter of the pelletizing hole. Usually materials below 6mm is preferred. Generally, the pellet size can be 2.5-10mm. But that depends on what type you plan to make. 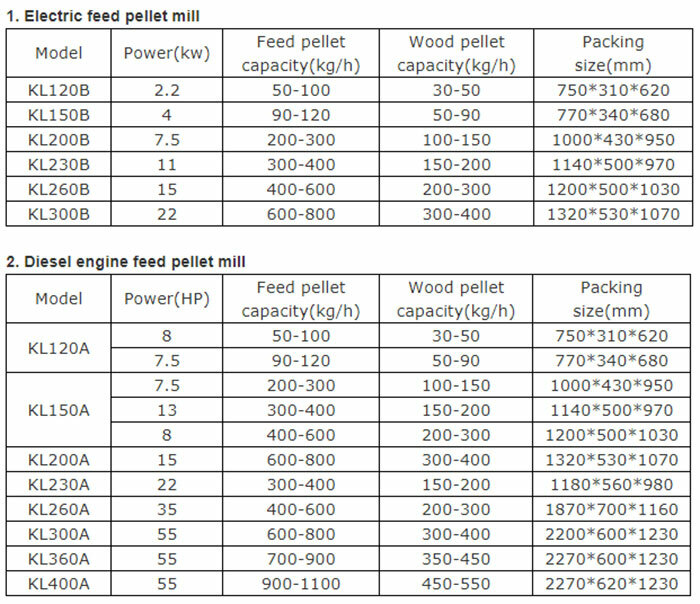 If you want to make animal feed pellets, 2.5mm and 4mm are ok, if you want to make the wood pellets, 6mm and 8mm are better. Applied raw materials moisture content should be within 12-20%. 1. What materials do you mainly handle? What are their moisture content? What are their sizes? 3. What power source do you prefer? Electricity, diesel or petrol engine or a tractor? 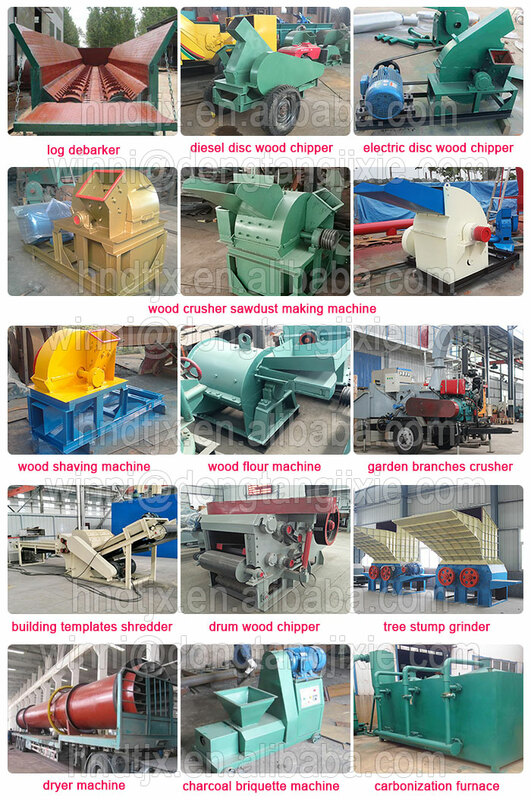 Henan Dongtang Machinery Co. Ltd is a professional China supplier of various shredders, crushers, drying machines, wood chippers, wood pellet making machines as well as other machines. 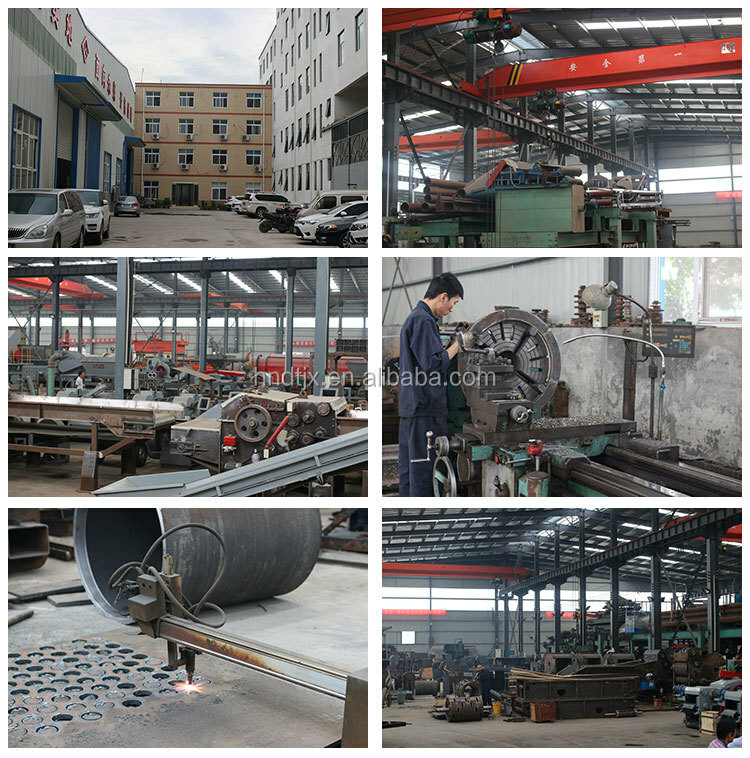 Our factory has over ten years' experience in the production and all our products comply with international standards and are greatly appreciated in a variety of markets throughout the world. If you are interested in any of our products, please feel free to contact us. We are looking forward to forming a successful business relationship with you in near future.